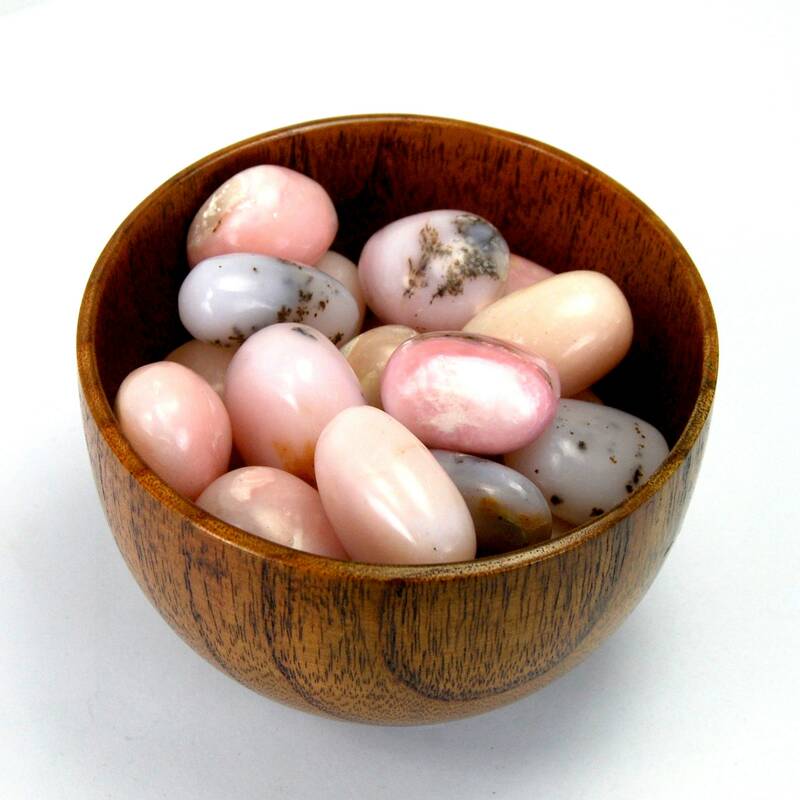 Natural medium Pink Opal tumbled stones from Peru. These pieces measure .75 to 1.25 inches. 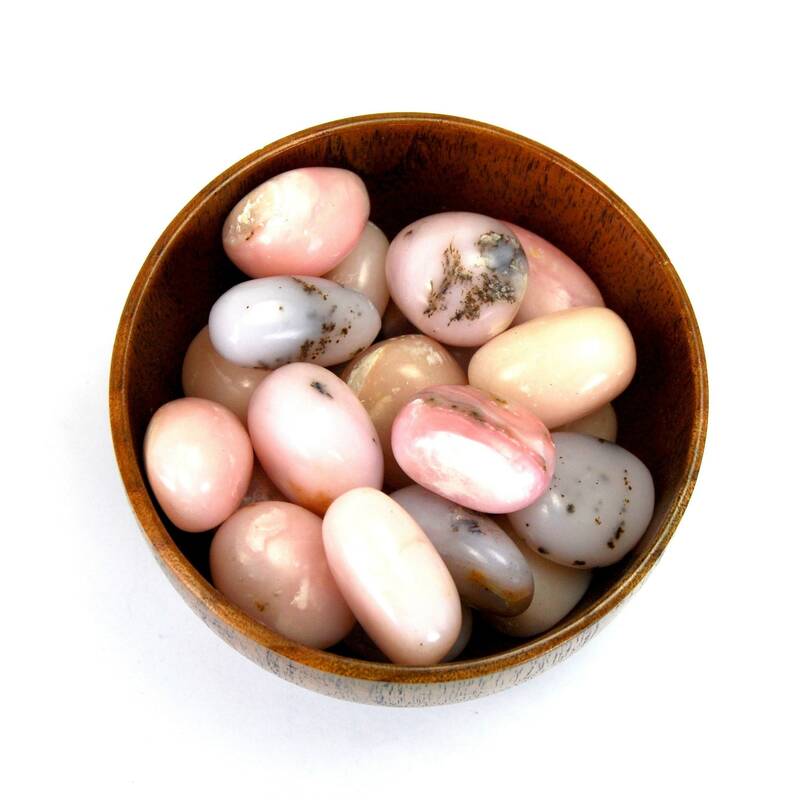 Pink Opal is a perfect stone for emotional healing. Aids in emotional balance and healing matters of the heart. A good stone for getting through a break up or loss of a loved one. Brings about compassion and aids in finding resolution to painful memories.